The new year is a good excuse to consider how we can be better gamers. These are our promises to ourselves and those we share PC gaming with. Share your resolution with us in the comments. I want to become an expert on one game. Due to the nature of the job, I tend to be a game tourist. I need to quickly decide which new games are interesting, and there were /a lot/ of games released last year—I must have jumped in and out of at least a hundred games in 2014 (I’m probably being conservative on that). You can see a bit of my tourism on our YouTube channel, where I posted a few of my excursions. I don’t think there’s anything intrinsically wrong with playing lots of different games for a short time each, and I did complete a decent number of games last year, but I never became an expert on any of them. Not an expert in the sense that I want to compete with pro players or anything, but in the sense that I’m completely up to date on all the nuances, I know what it means every time a patch is released, and I have an opinion on even the smallest, darkest corners of its design. Tourism is nice, and useful to me when deciding what we cover and how, but in 2014 I really missed the feeling of developing a complex, long-term relationship with a game. This year, I’m searching for a soulmate. I want to be unfalteringly friendly. I am occasionally a goddamn idiot in CS:GO. Sometimes I drift into a bad mood and start to criticize the mistakes of my teammates (Tyler and anyone else who’s played L4D2 with me can tell you that). But more often I go out of my way to spar with other internet jerks, the tedious sarcastics, griefers, racists, and the other types intent on ruining everyone else’s good time that anyone who plays competitive games knows very well. A dab of adrenaline and anonymity turns a lot of people into sour, unlikable dumbasses, and I’ve had enough of being one of them. I’m pledging to be unimpeachably pleasant in every competitive game I play. I want to be as understanding, patient, and good humored as the people I enjoy playing with. I want to learn how games tick. I’m inspired by the example set by production editor and PC Gamer Loremaster Tony Ellis. Last year he built his own 2D game engine from scratch, and then used it to build Tetris and Asteroids. Now he’s moving onto polygonal 3D and procedurally generated landscapes. I envy his code-fu, and his newfound knowledge of the processes that turn cold machine language into interactive entertainment. I don't think you have to know how games are made to criticise them. The food critic doesn't have to know how a cake is made to know whether the cake is good, or whether the cake succeeded in making the cultural comment it set out to make. If I was a food critic I'd nonetheless be really curious about how the cake got that way, so I plan to understand games better by learning a programming language and building something simple—maybe a game about eating loads of cake. I want to play more games with strangers. Unlike Chris, I love multiplayer games. For a large portion of the two and and a half years I played League of Legends, I would only play when I had a friend to queue up with. I love a good, immersive single-player experience, but something has always been more appealing to me about sharing a game world with my friends. Even single-player games like FTL and Civilization are more fun when I’m making the decisions with somebody else. Unfortunately, not all my friends share my taste in games. What this means is that I’ve missed out on a lot of great multiplayer games because I couldn’t find a friend who wanted to join me, and I barely ever play with strangers. It’s not that I don’t want to, I just never know how to approach someone I don’t know on the internet without feeling creepy. Ironically, I am a pretty outgoing person in the real world and making introductions is no sweat, but I get insecure about making the right impression when I’m not face to face. This year, I’m going to be more outgoing with online communities that I’m not yet a part of. There are too many fantastic and friendly groups of internet people that I’m passing by, let alone fun games I am depriving myself of. I am going to go join an open Terraria server, turn on my voice chat in TF2, attempt to ally with someone in Elite: Dangerous and inevitably get blown up by them. I may not make lifelong internet friends, but at least I’ll get out of my bubble. I want to play more games with my friends. Look, I'm an introvert and thus I find people generally exhausting, even my own friends. For this reason I've always been a staunch single-player gamer. Throughout my life, games were always me-time: after a long day of being surrounded by people at work, I had no interest in coming home, starting a game, and being surrounded by people again, even if they were people I liked. There's nothing wrong with being introverted: that's just how some of us are built, and there's not much sense in forcing ourselves to be people we're not. At the same time, it's worthwhile to step out of our comfort zones from time to time. I've spent rare stretches of time in multiplayer games like Team Fortress 2, Unreal Tournament, Counter-Strike, and a couple of MMOs, and those times have always been rewarding, not just because I was spending time with my friends but because I was often making new ones. I'll always love single-player games for letting me escape the world, and on my toughest, most stressful days they'll still be my refuge. But, while I'm not the most social guy on the planet, my friends are still important to me, and I've just haven't been making the effort to play games with them recently. I want to change that this year. I want to build a new PC. Or, to be more specific, I want to gull our hardware editor Wes into helping me to build one. Or, for fans of even further specificity, I want to have him build it entirely himself and then hand it to me at the end for the crucial ribbon cutting part of the process. 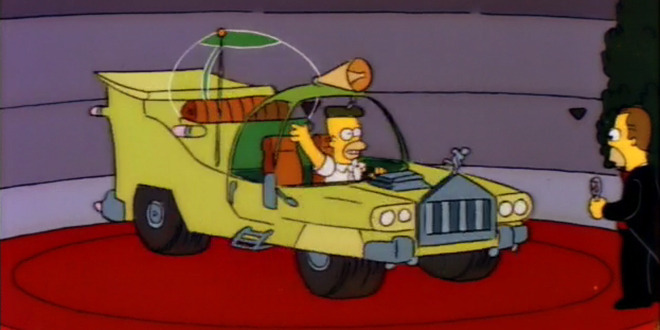 Because god knows if I build it myself I’ll end up with the computer equivalent of the car Homer designed. I want something relatively inexpensive that still comfortably outperforms the current consoles, doesn’t require a lot of faffing with, and won’t take up much space in our insult-to-shoebox-sized apartment. Should be easy right Wes? Wes? I want to stay on top of new releases. I don't have any illusions about being able to play or finish everything that comes out, but I really struggled to keep up towards the latter half of 2014. I've barely touched Far Cry 4, for example, despite adoring its predecessor. I missed out on Wasteland 2 and Dark Souls 2, and although I've just picked up both in the Steam sale I'm concerned that I'll not get around to playing them for a while. Generally if I'm not reviewing a game I don't have time to play it, and when I do have free time it tends to go on my 'hobby' games - Dota 2, Elite, and, er, Destiny. I'm nostalgic for the era in my life when I had time to absorb every major new game that came out. To an extent, I'm not going to get that back - the time when I could spend a whole weekend at my desk with nobody needing me to do anything is over. But I think I'd benefit, personally and professionally, by expanding my experience of games in general over the course of the year. In short: I am the opposite of Tyler. I want to finish what I start. If I’m not reviewing a game, it’s increasingly unlikely that I’ll finish it.